Charming Windsor floor plan on the 12th tee of Cimarron GC. The sweeping views of mountains & sunsets are breathtaking. Brick Driveway & Patio w/ water feature welcome you. You are greeted with a spacious living dining area with French doors to patio. Cherry cabinets, granite counters, double ovens, SS appliances, skylights & walk-in pantry make up your stunning kitchen. Dry bar w/wine cooler. Gas fireplace w/ new faux stone, surround sound t/o & built in media center in family room. Master suite w/ French doors to patio & lavish bathroom w/ walk in shower. Step out onto your patio & enjoy your beautiful custom pool/spa with intergrated waterfall, misting system, Swim-up bar & sunken BBQ area w/ firepit. Updated fencing with w/ 2' block base. Mature citrus trees. Wind sensitive awning. 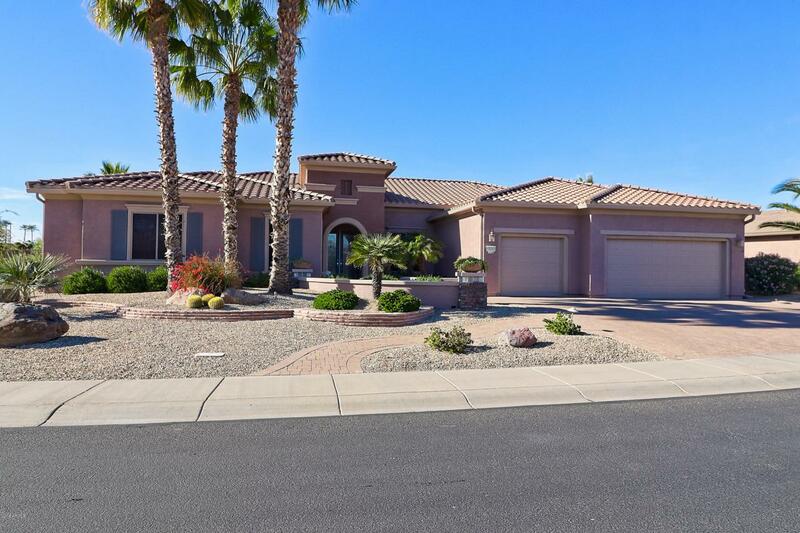 Listing courtesy of Long Realty West Valley. © 2019 Arizona Regional Multiple Listing Service, Inc. All rights reserved. All information should be verified by the recipient and none is guaranteed as accurate by ARMLS. The ARMLS logo indicates a property listed by a real estate brokerage other than CC & Co. Real Estate Team | Keller Williams Realty Phoenix. Data last updated 2019-04-23T00:12:01.63.